We were first-time homebuyers and completely overwhelmed before we even started. I tend to ask a lot of questions and was certain any realtor would drop me after the first day. Finding our perfect home was a long process but not once did Stefany ever make me feel pressured. She always answered my questions very clearly and sent me articles and information to help me learn about each step. Starter homes were going fast in our area so Stefany was constantly monitoring the market and called us the moment a new house came up. One day she called us to look at a house that didn’t quite fit our criteria on paper. I was skeptical but she said we really needed to see it, and lo and behold we instantly fell in love; in the end, it really did have everything we wanted and more. I can never thank her enough for following her instincts and nudging us to look beyond the printed listing to the actual experience of the home. Anyone can look at the listings and match the specs to a buyer’s request, but it takes someone who truly cares with great instincts to help you find your perfect home. 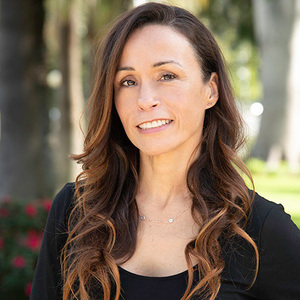 Combining a lifelong passion for real estate with abundant hands-on experience, Stefany Gonzalez delivers a personal approach that is laser-focused on each client's exact needs. Working with Stefany means benefitting from her thorough and careful guidance. She explains the whole process step by step so that clients feel completely informed and empowered at all times. As an experienced investor herself, Stefany is intimately aware of the daunting nature of the journey, and she's highly attuned to making each transaction a successful one. "The process won't feel overwhelming when you're armed with knowledge," she explains. "I am your advocate and friend, and that continues even after the deal closes!" As a proud member of the Morgan Pasco Group, Stefany relies on the team's commitment to excellence to ensure her clients receive the very best. Stefany earned a Masters of Architecture from Parsons School of Design in New York, and prior to real estate, she worked as a designer and architect on both coasts. She has resided in the Culver City Arts District for six years, and she's a passionate fan of the area's exciting renaissance. In her free time, she can be found soaking up the fantastic LA lifestyle and spending time with family.